Are you sure you want to remove Common Sense from your list? in English - [2nd ed. reprinted] / edited with an introduction by Isaac Kramnick. Common sense: addressed to the inhabitants of America, on the following interesting subjects: I. Of the origin and design of government in general, with concise remarks on the English constitution. II. Of monarchy and hereditary succession. III. Thoughts on the present state of American affairs. IV. Of the present ability of America, with some miscellaneous reflections. To which is added, an appendix; together with an address to the people called Quakers. in English - A new edition, with several additions / ... To which is added, an appendix, together with an address to the people called Quakers. 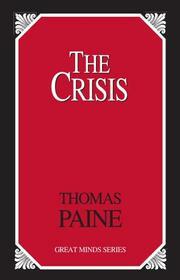 in English - Ninth edition / To which is added, an appendix with an address to the people called Quakers by Thomas Paine. 1791, Re-printed, by Charles R. and George Webster. Le sens-commun. : Ouvrage adressé aux Américains, et dans lequel on traite de lo̓rigine et de lo̓bjet du gouvernement, de la constitution angloise, de la monarchie héréditaire, et de la situation de lA̓mérique Septentrionale. 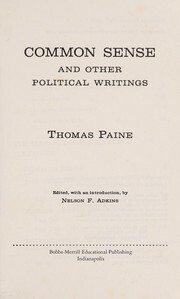 in English - A new edition, with several additions in the body of the work / to which is added, an appendix; together with an address to the people called Quakers. N.B. The new edition here given, increases the work upwards of one-third. Common sense: addressed to the inhabitants of America, on the following interesting subjects, viz. I. Of the origin and design of government in general, with concise remarks on the English constitution. II. Of monarchy and hereditary succession. III. Thoughts on the present state of American affairs. IV. Of the present ability of America, with some miscellaneous reflections. To which is added, an appendix. Common sense: addressed to the inhabitants of America, on the following interesting subjects: I. Of the origin and design of government in general, with concise remarks on the English Constitution. II. Of monarchy and hereditary succession. III. Thoughts on the present state of American affairs. IV. Of the present ability of America, with some miscellaneous reflections. 1791, Printed and sold by W. and T. Bradford. 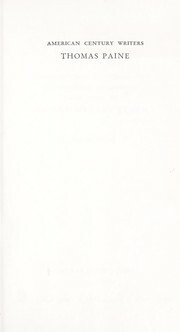 Microform in English - A new edition, with several additions in the body of the work. To which is added an appendix; together with an address to the people called Quakers. Common sense: addressed to the inhabitants of America, on the following interesting subjects : I. Of the origin and design of government in general, with concise remarks on the English constitution. II. Of monarchy and hereditary succession. III. Thoughts on the presents [sic] state of American affairs. IV. Of the present state of America, with some miscellaneous reflections. 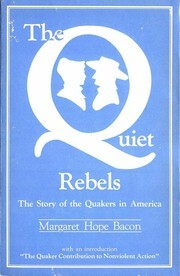 in English - A new edition, with several additions in the body of the work, to which is added an appendix together with an address to the people called Quakers. in English - A new edition, with several additions ... To which is added, an appendix, together with an address to the people called Quakers. 1776, Printed and sold by Solomon Southwick. Common sense: addressed to the inhabitants of America, on the following interesting subjects : I. 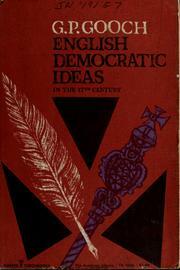 Of the origin and design of government in general, with concise remarks on the English Constitution. II. Of monarchy and hereditary succession. III. Thoughts on the present state of American affairs. IV. Of the present ability of America, with some miscellaneous reflections. in English - The tenth edition. Common sense: addressed to the inhabitants of America, on the following interesting subjects. I. Of the origin and design of government in general, with concise remarks on the English Constitution. II. Of monarchy and hereditary succession. III. Thoughts on the present state of American affairs. IV. Of the present ability of America, with some miscellaneous reflections. 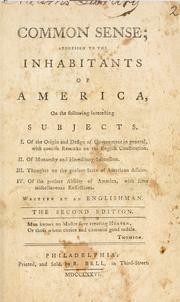 1776, Printed for the perusal of the inhabitants of the thirteen United Colonies. 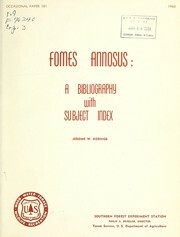 in English - The fourth edition. 1776, Philadelphia printed: Salem, re-printed and sold by E. Russell, at his printing-office next to John Turner, Esq; in the Main-Street. Microform in English - The third edition. Common sense: addressed to the inhabitants of America, on the following interesting subjects : I. Of the origin and design of government in general, with concise remarks on the English constitution. II. Of monarchy and hereditary succession. III. Thoughts on the present state of American affairs. IV. Of the present ability of American, with some miscellaneous reflections. 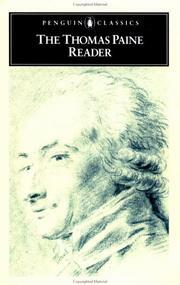 in English - A new edition with several additions in the body of the work. / To which is added an appendix, together with an address to the people called Quakers. N.B. The new addition here given increases the work upwards of one-third. 1776, Philadelphia printed: Newbury Port, reprinted, by John Mycall, and to be sold at the printing office. 1776, printed by W. and T. Bradford. Common sense: addressed to the inhabitants of America, on the following interesting subjects. 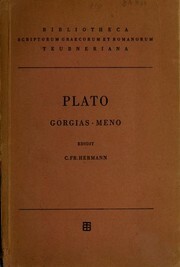 ... A new edition, with several additions in the body of the work. To which is added an Appendix; together with an address to the people called Quakers. N. B. The new addition here given increases the work upwards of one-third. - [The fourth edition, corrected]. 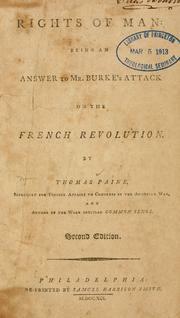 1776, Re-printed, and sold by Eben. Watson. 1776, Gedruckt bey Melchior Steiner und Carl Cist, in der Zweyten-Strasse. Common sense: addressed to the inhabitants of America, on the following interesting subjects. I. Of the origin and design of government in general, with concise remarks on the English Constitution. II. Of monarchy and hereditary succession. III. Thoughts on the present state of American affairs. IV. Of the present ability of America; with some miscellaneous reflections. 1776, Philadelphia: Printed. Norwich: Re-printed and sold by Judah P. Spooner, and by T. Green, in New-London. in English - The sixth edition. 1776, Printed and sold by Solomon Southwick, 1776. 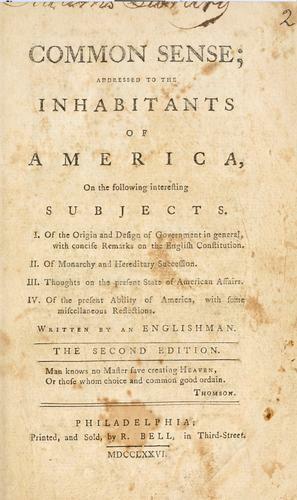 1776, Printed, and sold, by R. Bell, in Third-Street. 1776, Philadelphia, printed: Providence, re-printed and sold by John Carter, at Shakespear's Head, near the Court-House. Microform in English - The sixth edition. 1776, Printed and sold by W. and T. Bradford. 1776, Philadelphia, printed. Boston, re-printed, and sold by Edes & Gill and T. & J. Fleet. 1776, printed. And sold by W. and T. Bradford. in English - [The sixth edition]. Common sense: addressed to the inhabitants of America, on the following interesting subjects : I. Of the origin and design of government in general, with concise remarks on the English Constitution. II. Of monarchy and hereditary succession. III. Thoughts on the present state of American affairs. IV. Of the present ability of America; with some miscellaneous reflections. Common sense: with the whole appendix: the address to the Quakers: also, the Large additions, and A dialogue between the ghost of General Montgomery, just arrived from the Elysian Fields; and an American delegate in a wood, near Philadelphia: on the grand subject of American independancy. 1776, Philadelphia printed: New-York, reprinted and sold, by John Anderson, the corner of Beekman's-Slip. 1776, Philadelphia printed: Newbury-Port, reprinted, [by John Mycall] for Samuel Phillips, Jun. of Andover. Microform in English - The tenth edition. in English - A new edition, with several additions in the body of the work / to which is added an appendix, together with an address to the people called Quakers. N.B. The new addition here given increases the work upwards of one third. Common sense: addressed to the inhabitants of America. On the following interesting subjects. I. Of the origin and design of government in general, with concise remarks on the English Constitution. II. Of monarchy and hereditary succession. III. Thoughts on the present state of American affairs. IV. Of the present ability of America, with some miscellaneous reflections. 1776, Printed by Francis Bailey, in King's Street. Common sense: with the whole appendix : the address to the Quakers : also, the Large additions, and A dialogue between the ghost of General Montgomery, just arrived from the Elysian fields and an American delegate in a wood, near Philadelphia : on the grand subject of American independancy. in English - A new edition / with several additions in the body of the work. To which is added an appendix, together with an address to the people called Quakers.